Drought is a slow-onset natural hazard that is often referred to as a creeping phenomenon. The challenge of monitoring drought’s onset and evolution, and identifying its termination or end is one that scientists, natural resource managers, and decision makers have been struggling with for decades. However, drought management must be aimed at reducing the risks of future drought events on economies, the environment, and the social fabric of regions. As with many countries, droughts are often managed as a crisis in Brazil, rather than events for which officials and communities proactively prepare. Although droughts are not new to Brazil, the recent spate of droughts in the poverty stricken semi-arid Northeast and the industrial hub of São Paulo in the Southeast has forced the country to think more seriously about finally changing its drought policies and management approaches. The book is told through the perspectives of the ministers and secretaries, state policy and technical officials, civil society organizations, and development practitioners that helped to facilitate the shift in paradigm in Brazil from crisis management and towards proactive management of droughts. It is written in a style that is appealing to both technical and non-technical audiences, and aims to provide a framework and lessons for other countries to consider when embarking upon similar efforts to improve their own drought policy and management systems. Erwin De Nys is a program leader for sustainable development at the World Bank, based in Bogotá, Colombia. During 2011–2015, he coordinated the World Bank’s portfolio in Brazil related to analytical work and investment projects in water resources management, irrigation management, and adaptation to climate change. 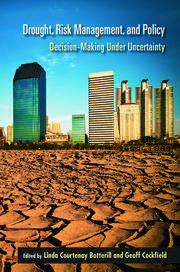 Erwin was a co-leader of the "Drought Preparedness and Climate Resilience" technical collaboration program described in this book. He holds a PhD in irrigation management from the University of Leuven—KU Leuven (Belgium), a master’s in water resources management from the International Centre for Higher Education in Agricultural Sciences (Montpellier, France), and a master’s in tropical agriculture from the University of Leuven—KU Leuven (Belgium). Nathan L. Engle is a climate change specialist at the World Bank in Washington, DC. His work focuses on climate resilience and adaptation, drought policy and management, and water resources. 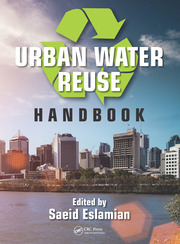 Nathan was a coleader of the "Drought Preparedness and Climate Resilience" technical collaboration program described in this book. He holds a PhD from the University of Michigan’s School of Natural Resources & Environment, master’s degrees from the University of Michigan in public policy (MPP) and natural resources and environment (MSc), and a BSc in earth sciences from the Pennsylvania State University. Antônio Rocha Magalhães is an advisor at the Center for Strategic Studies and Management (CGEE) in Brasilia, Brazil, dealing mostly with issues linked to droughts in the Northeast region, science and technology, water, and adaptation to climate change. Formerly, he was the secretary of planning of the State of Ceará and the vice minister of planning of Brazil, the president of the Committee of Science and Technology of the UNCCD, and a country officer at the World Bank in Brazil. He holds a PhD in economics from the University of São Paulo. "Across the chapters, different interdisciplinary approaches and combination of scholarly and pragmatic analyses paint a compelling picture of the need for new and innovative interventions against this background of change. I recommend the book not only for those who are new to understanding drought impact and response in Northeast Brazil but also for readers seeking a deeper exploration of the issue and how it can inform decisions in Brazil and elsewhere." 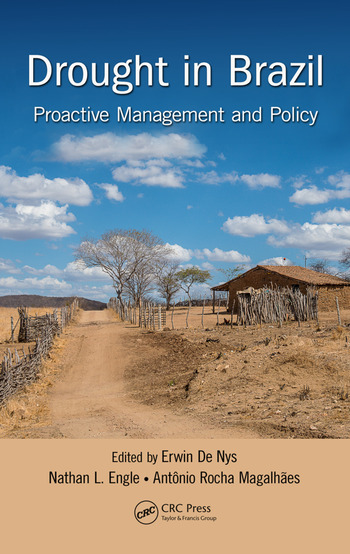 "This book, with twelve very useful papers on pro-active management of droughts and policy in Brazil, is a valuable source of information for all countries interested in effective drought preparedness and management." 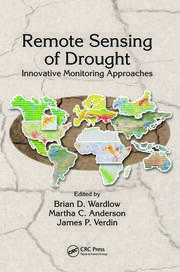 "Practitioners and researchers involved in drought management will treasure this book as it provides a comprehensive overview of the strategies and mechanisms that Brazil is adopting to minimize impacts and increase resilience against extreme droughts in the semi-arid zone of the Northeast region."